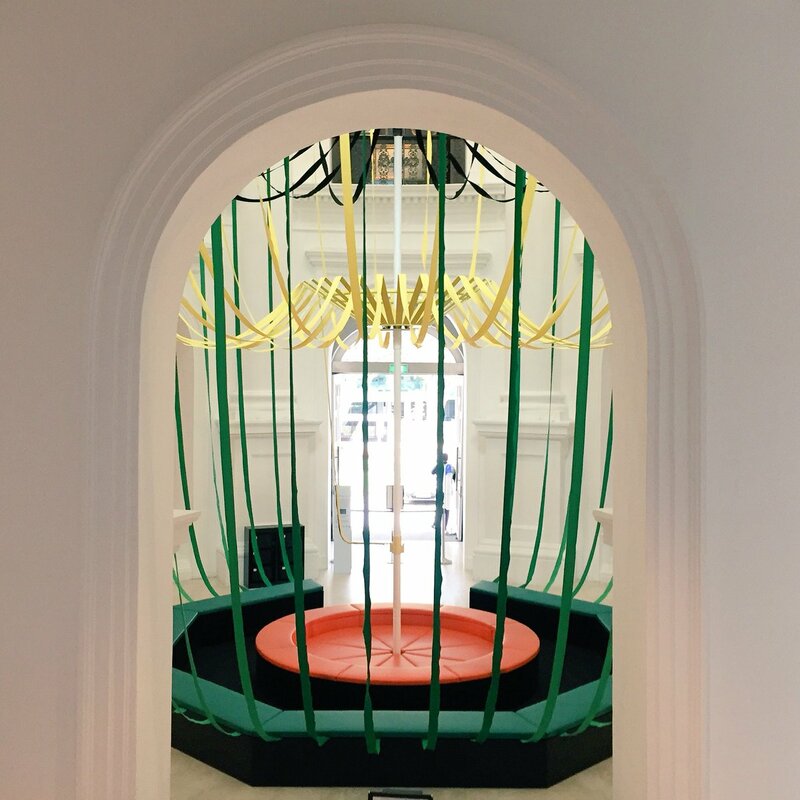 “The Dynamic Lines our our Nest” is an installation designed by Matali Crasset for the National Museum of Singapore (exhibited until Sept. 30th). 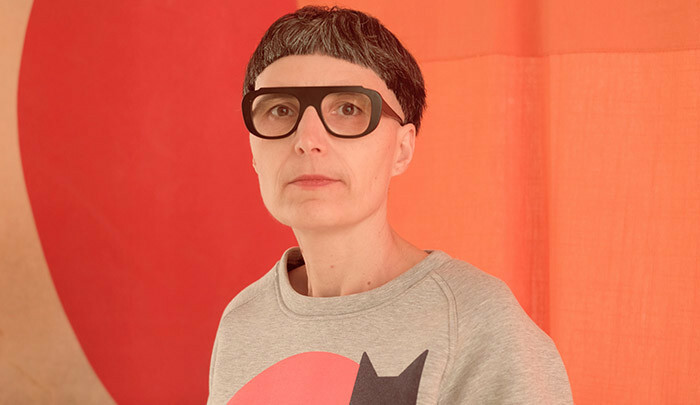 With this piece, the French artist and designer’s intention is to pay a tribute to “the awakening of our curiosity“. 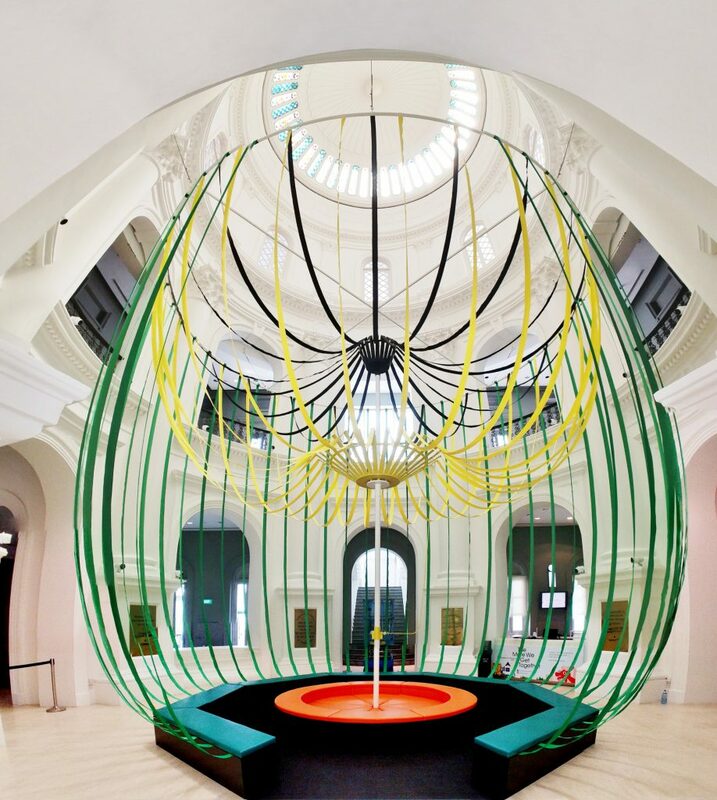 By twisting the central pole, the installation is transformed into a colourful mobile for toddlers in a central playpen below. Visitors are invited to “nest” and recline in a shared space around the playpen. Inspired by natural greenery (a casuarina tree, according to Crasset), the installation proposes “a future play space where the natural and manmade meet“. Matali Crasset’s “Nest” is part of The More We Get Together: Singapore’s Playgrounds 1930 – 2030 exhibition.